Everyone loves nature because nature is something that is very beneficial for your health. You feel fresh and relaxed as you step out in the open air. Lush greenery makes you lost in the beauty of nature. So why not we should try to make our little garden that makes you feel fresh all day long. From garden to backyards, front yards and terrace utilize these areas and feel the good vibes. What if there is someone that makes everything easy for you. So here is SRS synthetic turf grass that provides its services in all the parts of Melbourne and the surrounding areas as well. The services are outstanding, and the hardworking team of SRS grass makes this possible to get the perfect natural look of your garden. The artificial grass that they provide according to the need of your lawn is remarkable. The quality is outstanding. The services provided by them are excellent. But why trust SRS synthetic turf? This question may pop up in your mind. Here are the reasons why. * The products that we deliver to our customer are full Australian made. No other low-quality material is used in the manufacturing of SRS artificial turf. * The grass is pets and kid-friendly that means it will not cause any health issue to the children and pets. * We provide a warranty of the products that we deliver. * Make you feel fresh and gives a natural look to the garden. * No interference with other contractors. You don’t have to waste your time in dealing with a lot of contractors or dealers. * Needs less or no maintenance. * The grass will stay green and lush all day every day. Other than these amazing features of synthetic turf the team of SRS synthetic turf is also remarkable. The workers are highly skilled and trained. They are trained as the modern education and knowledge of artificial grass is also given to workers. The team itself makes remarkable efforts to meet the expectations of its customers. The workers are experienced and professional and have well-known knowledge of modern techniques of how to do the process of artificial turf? All you have to do is to book your appointment with and to believe in us. 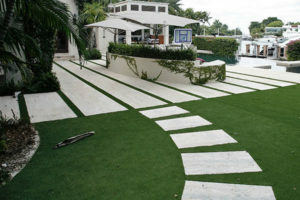 We ensure to provide the best artificial turf experience of the town to you.